You&apos;ve never, ever read a book like this. When a sexually-transmitted plague breaks out in Ashley Young&apos;s small town, leaving its victims with a bizarrely amplified libido, everything about her life changes. DEAD IN BED is partly a suspense thriller with a strikingly original story, partly a page-turning mystery about a disease that makes people hopelessly crave sexual contact, and partly a neo-western adventure in the American heartland. 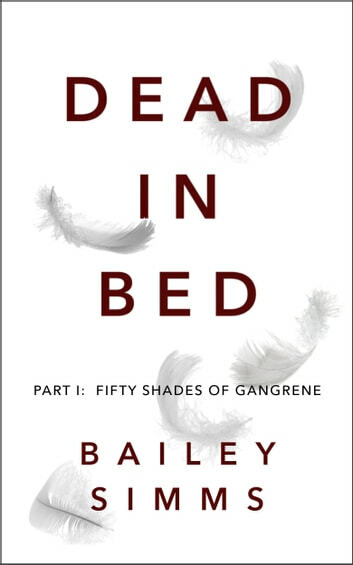 For anyone who can handle a smart, controversial female protagonist who&apos;s willing to do anything - no matter how difficult or morally questionable - in order to survive, the series pulls readers in like an unshakeable addiction.
. . . Bailey Simms, teen author of DEAD IN BED, is stuck at home with a rare medical condition. Writing is her only escape, so she&apos;s determined to keep her salacious series hidden from her strict father. Soon an older boy starts to secretly help her, and Bailey finds new opportunities for freedom she&apos;s never had. 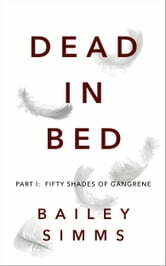 But as DEAD IN BED grows in popularity, and Bailey&apos;s fans start to clamor for the sequel, she learns that being a successful author may come with a terrifyingly dangerous price.